How do I buy a Four Seasons Gutter Pro Franchise? Join the Four Seasons Gutter Pro Team! Thinking of starting your own business, but not sure if you can do it alone? 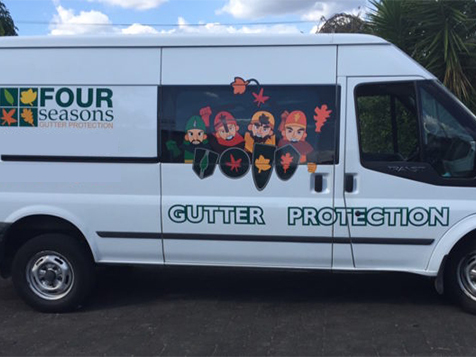 Four Seasons Gutter Protection is a powerhouse of a business that is guaranteed to provide you with financial freedom. Our business adjusts to your schedule and allows you time to focus on more success. Join us as we expand and offer a proprietary product that is revolutionizing the way the market maintains gutters. Open Four Seasons Gutter Pro in any of these available states: AK, AL, AR, AZ, CA, CO, CT, DC, DE, FL, GA, IA, ID, IL, IN, KS, KY, LA, MA, MD, ME, MI, MN, MO, MS, MT, NC, ND, NE, NH, NJ, NM, NV, NY, OH, OK, OR, PA, RI, SC, SD, TN, TX, UT, VA, VT, WA, WI, WV, WY. 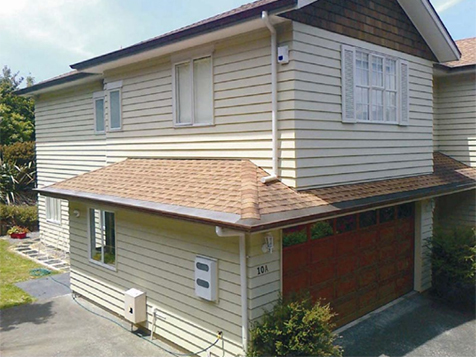 There are many products on the market throughout the world, that purport to keep leaves out of gutters, and in essence, they do just that for a time. Unfortunately due to the very nature of the design most of them fail in one way or another, eventually causing more problems than they fix. 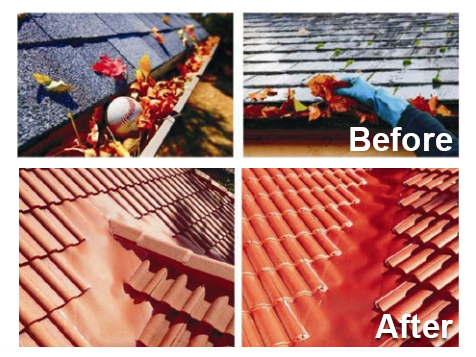 Our Seasons Gutter Protection is Australia’s leading gutter guard installer, supplier and manufacturer. 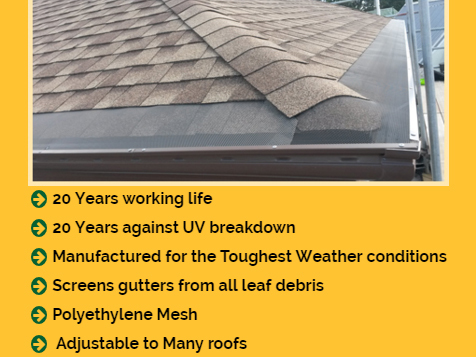 It has designed and manufactured its own unique gutter guard mesh called Continuous Control Flow which is 150% stronger than comparable products and is the most advanced Gutter Protection mesh on the market today. Four Seasons has proudly served homeowners and commercial businesses in the Australia and New Zealand since 2003 when the first location was opened. It's an award winning product that comes with a 20 year guarantee and is currently sold throughout Australia, New Zealand and now the USA. Not only will you be proud to sell what Four Seasons Gutter Pro has to offer, but proud that it actually does everything it is meant to do. 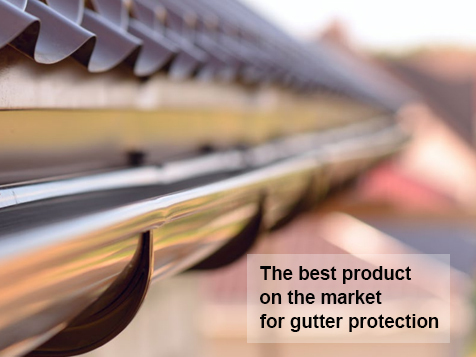 The gutter guard is a great product for home owners looking to protect two of their most precious assets, their family and their home. You will be in business for yourself but never by yourself. We have no success without your success; therefore it is in our best interest to do all we can to ensure your optimum success. To this end we will work with you closely and give you all the training initially and ongoing, required to meet your goals. 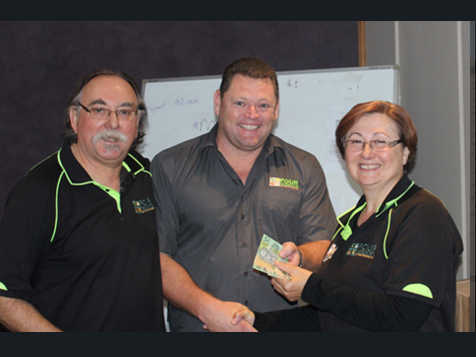 Working capital finance available for approved applicants for extra fast growth if needed. No Royalties, you will not have to pay monthly royalties based on turnover. Our system lets you grow at your own pace, you can start as small or as large as you want, you may even choose to run alone until you master the process. It is entirely up to you and what makes you feel comfortable. Greater than average return on your investment. Because we teach a low cost high revenue system, adherence to this will mean you can recoup your initial investment from the profits of your first shipment. A product that has been proven under some of the harshest climates in the world. 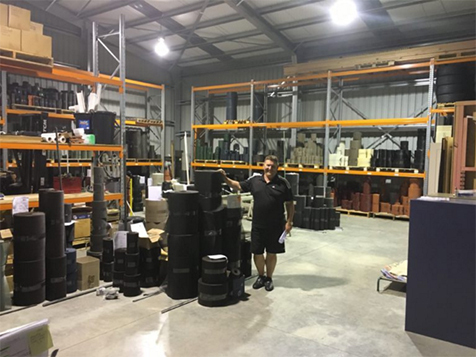 The Australian and New Zealand heat is not only among the world’s hottest it is also among the highest UV rated which is the main reason other products don’t last. Our product is simulated to date to have had no denigration after 23 years. If it can last down under, it will last everywhere. Exclusivity. We will not open another franchise or home office in your designated territory so long as you remain active with your minimums. In addition, you will have the right to earn extended territory through our Sub Franchisee Expansion Program. This is an exciting opportunity for you to have the whole state under your control. If you are looking for a business opportunity that lets you work on it rather than in it, complete the inquiry form today. Four Seasons Gutter Pro is not currently active in our directory, but here are some other recommended selections for you to explore. Just tap for more details! By submitting this form, you agree to receive text messages from Franchise Solutions and the busineses you've requested more information from. Search for franchise opportunities with the ultimate franchise finder App from Franchise Solutions.